Former Israeli Prime Minister Ariel Sharon has died aged 85 after spending eight years in a coma following a stroke. 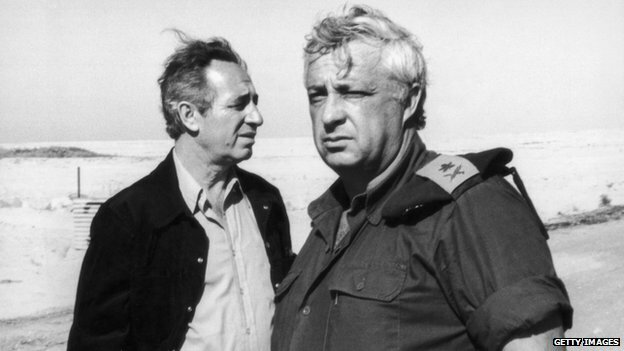 He was a giant of Israel’s military and political scene, but courted controversy throughout his long career. The head of the Sheba Medical Centre near Tel Aviv said Sharon had died on Saturday afternoon of heart failure. President Shimon Peres said he had built Israel but a senior Palestinian said his path was war and aggression. Peres, who joined a unity government with Mr Sharon in 2001, said he was “an exceptional man and an exceptional commander who moved his people and loved them and the people loved him”. Palestinian political figure Mustafa Barghouti said while no-one should gloat at his death, Mr Sharon had taken “a path of war and aggression” and had left “no good memories with Palestinians”. President Barack Obama and First Lady Michelle Obama spoke of a leader “who dedicated his life to the State of Israel”. The BBC’s Middle East editor Jeremy Bowen said he had shaped the current state of the West Bank and Israel’s relations with the Palestinians more than any other Israeli politician in recent years. 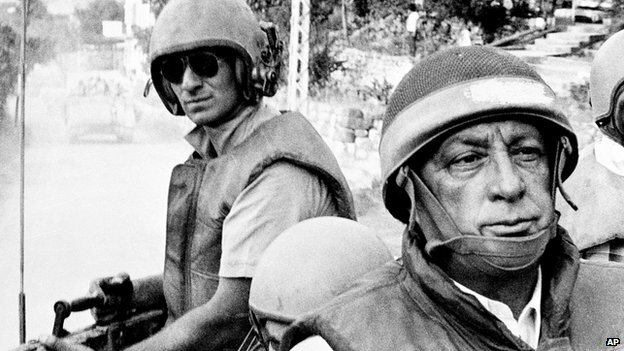 Ariel Sharon fought in Israel’s war of independence in 1948, and from that point until he slipped into a coma in 2006 it seemed there was hardly a moment of national drama in which he did not play a role, our correspondent says. He became PM in 2001 and in 2005 completed a unilateral withdrawal from the Gaza Strip, months before suffering a massive stroke. His health had declined for the past week and a half, Sheba Medical Centre Director Professor Shlomo Noy told reporters. One of his two sons, Gilad Sharon, said outside the hospital: “He has gone. He went when he decided to go.” He later visited his mother’s grave. He had been in a persistent vegetative state since a stroke in 2006 and Professor Noy said he had suffered “ups and downs” throughout that period. Ariel Sharon died during the Jewish Sabbath and the BBC’s Yolande Knell said a ministerial committee would meet in the coming hours to decide what steps to take. Sharon’s body will lie in state at Israel’s parliament, the Knesset, on Sunday before a big state funeral ceremony is held there on Monday morning. A few hours later he will be buried in a private ceremony at his ranch in the Negev desert. As prime minister, Sharon presided over some of the most turbulent times in Israeli-Palestinian history, a Palestinian uprising that erupted in 2000 and a subsequent tough Israeli military response. To many Israelis, he was a heroic warrior, having led decisive campaigns in the 1967 and 1973 wars. Known as Arik, Mr Sharon entered politics after the 1973 war but he became defence minister in 1981 and took charge of the invasion of Lebanon the following year, in an attempt to remove Palestine Liberation Organisation (PLO) fighters who had carried out attacks across Israel’s northern border. It led to a massacre of civilians carried out by Christian Phalangist militia in Beirut’s Sabra and Shatila refugee camps. Ariel Sharon was found personally responsible by an Israeli inquiry for failing to prevent the massacre. He was forced to resign as defence minister but stayed in government. It was not until 2001 that he came to power as prime minister. UK Prime Minister David Cameron said Israel had lost “one of the most significant figures” in its history while French President Francois Hollande said after a long military career Mr Sharon had “taken the choice to turn to dialogue with the Palestinians”.